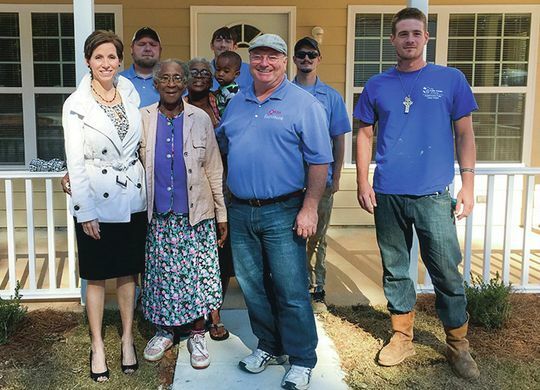 When 86-year-old Bertha Moore learned she had been selected to partner with The Fuller Center for Housing to build a new home at September’s Millard Fuller Legacy Build in Valley, Alabama, she was thankful to be in line for a safe home to replace the problematic home where she had lived for the past 62 years. When the home was dedicated a week later and she soon moved in, she was emotional, grateful and believed this was as good as it gets. The blessings, though, have kept coming for a woman who has given so much to her community. Now, she has a home full of new furniture, courtesy of a furniture store owner, Jeff Fulghum, who also happened to be one of the volunteers who spent a week helping build her new home as one of her house captains. The LaGrange Daily News reports on Fulghum’s generous gift at the link below.